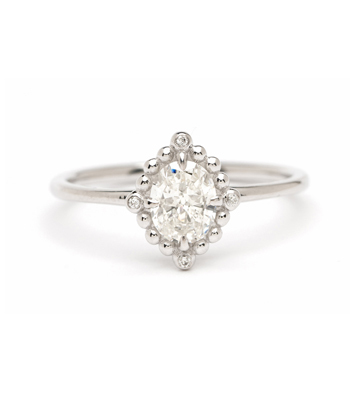 We love the sentiment embodied by this timeless, elegant, solitaire engagement ring. 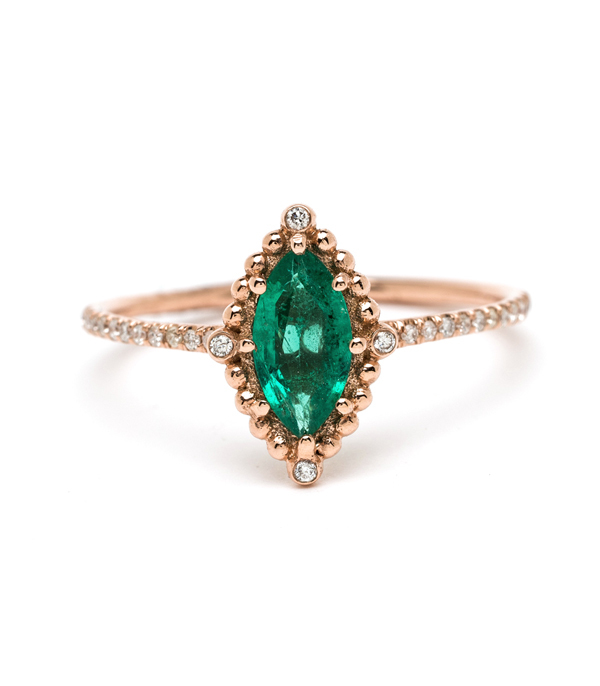 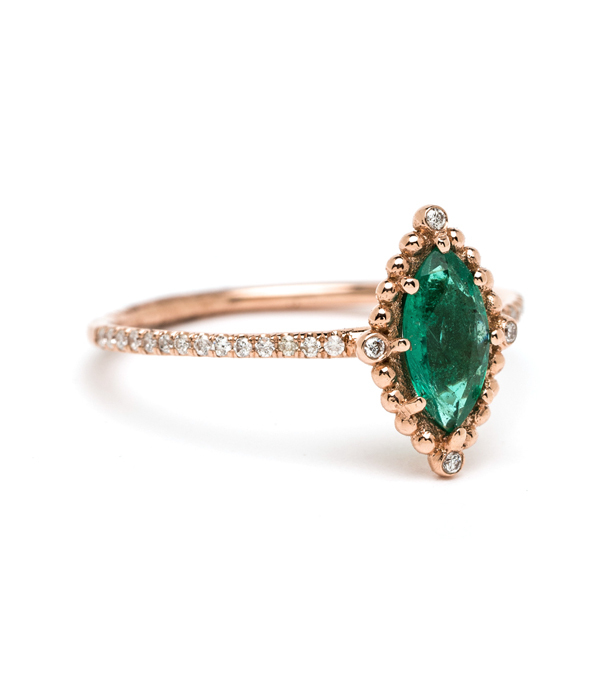 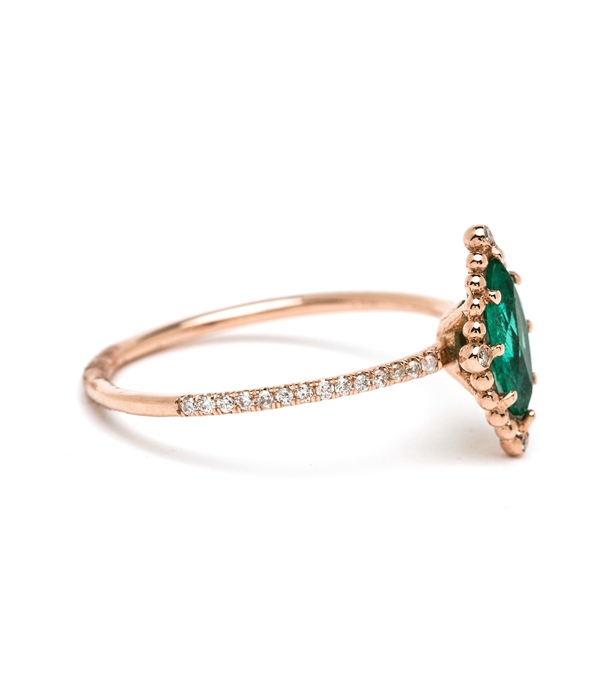 Crafted in 14K rose gold, one beautifully proportioned (0.77ct) Marquise Cut Emerald is framed with a unique halo of rose gold beads, and highlighted with a tiny diamond in the North, South, East and Western points of the frame of this solitaire engagement ring. 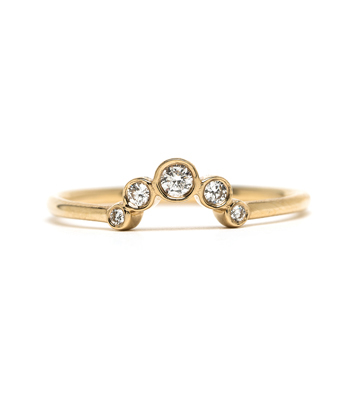 A subtle reminder to the wearer that no matter where she is, she is loved to the ends of the Earth. 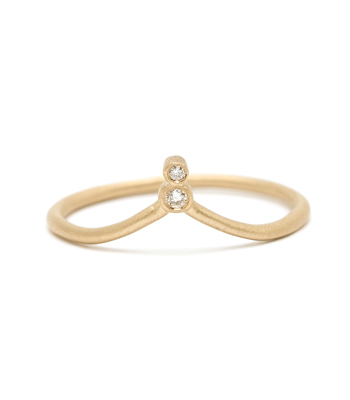 Tiny diamonds in the band add a twinkling gleam to this enchanting ring. 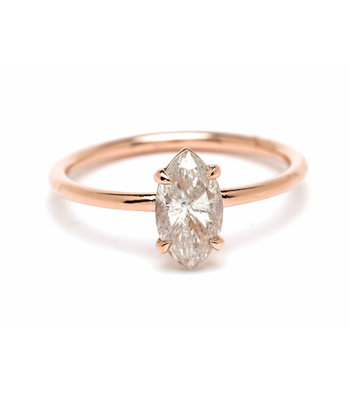 Categories: All Engagement Rings, Gemstone Rings, One of a Kind Bridal.